G1 figures that get the reissue treatment from Hasbro or Takara are a great thing in my opinion. Although I favor the vintage G1 figures for my collection, sometimes obtaining a reissue is just easier (especially on your wallet). With that being said there are a number of G1 figures fans have been asking about for years. 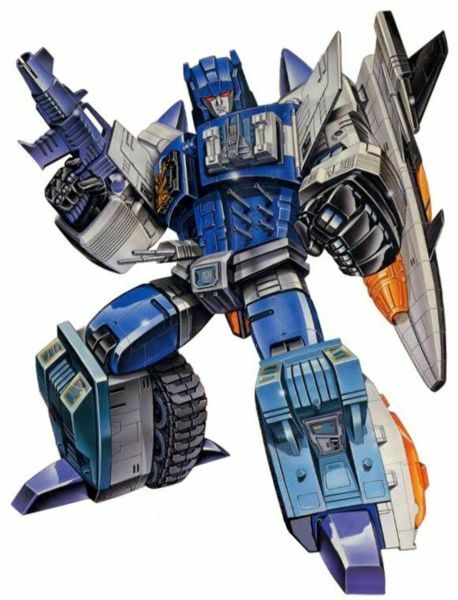 With the news of Takara releasing an Encore Fortress Maximus I felt the cards have been dealt and all barriers have been knocked down. Simply put, I think nearly any G1 figure can be reissued now. Even with Fortress Maximus coming in just a few months, some G1 Transformers being reissued are more farfetched than others. Collectors and fans for years have heard about failed drop tests, lost or broken molds, or simply the lack of a “collector’s market,” that’s why this is a wishlist. We all gotta keep dreaming 🙂 Here is my top 5 G1 figures I want to see reissued. Wheeljack is one of those harder to find, good conditioned G1 figures on the aftermarket. I’ve tried winning a few auctions, made a few offers to sellers, but I’ve never been in a position where I felt the time was right to purchase good ol’ Jackie. To date, Wheeljack has never seen a reissue and I don’t think he’s ever even been rumored to be in the works. He unfortunately seems to be the victim of a lost or broken mold. Creating new molds has been stated several times by Hasbro as being very expensive. 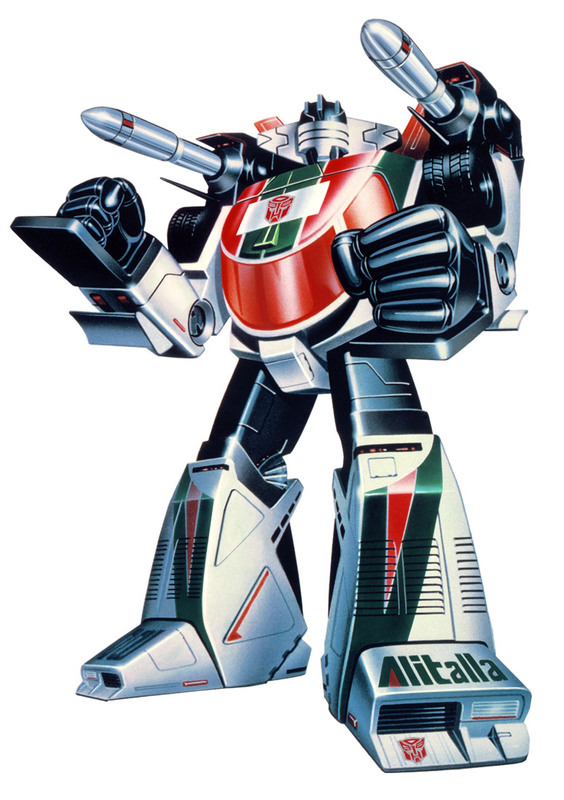 Wheeljack is still a relatively popular character that would be well received as a reissue, no doubt peaking interest from younger fans and catering to the older collectors’ interests as well. The Dinobots would be one of the most popular reissues. I’m cheating here as this is more than one figure, so let’s dream even bigger by saying we all wish for a boxset reissue of the Dinobots! I think nearly every fan who has an interest in G1 figures would want a shot at all of the Dinobots being reissued; Dinobots are simply fan favorites and some of the most popular characters in the Transformers lore. 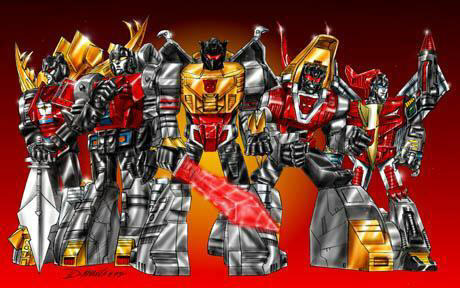 With our luck though, we’d get a single reissue of Grimlock while Slag, Sludge, Snarl, and Swoop would be left behind 😦 The Dinobots I believe are another group of victims to have lost or damaged molds so they would be harder to have reissued. If you feel like “cheapening the hobby” there was a KO of Swoop being sold years ago and a small number of those figures can still be found. Regardless, reissuing the Dinobots would likely lead to a sell out; I’d bet heavily on that. It’s only logical … c’mon, you knew I was going to say that! Shockwave needs a reissue; he deserves to be reissued even. He is without a doubt one of the most iconic characters among Transformers and his recent popularity has sparked Masterpiece treatment pleas from fans and even a Masterpiece type figure from 3rd Party group FanToys. 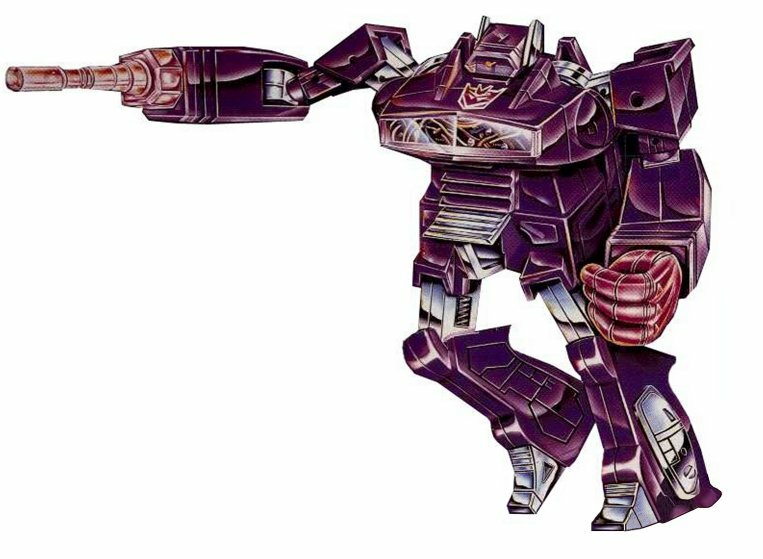 I have bid on over a dozen auctions and have lost each one: Shockwave commands a high price tag on the aftermarket and many, many other collectors also want him. The biggest reason Shockwave needs an official reissue though is due to the difficulty of finding a good conditioned vintage on the aftermarket. His hose is prone to dry rotting and his electronics can easily be the victim of battery corrosion making it difficult to find the right figure for my collection. Patience should pay off in the long run, but I certainly wouldn’t shy away from a reissue. Shockwave is also another figure that has been KO’d, so be on the lookout for those if you only collect official figures. 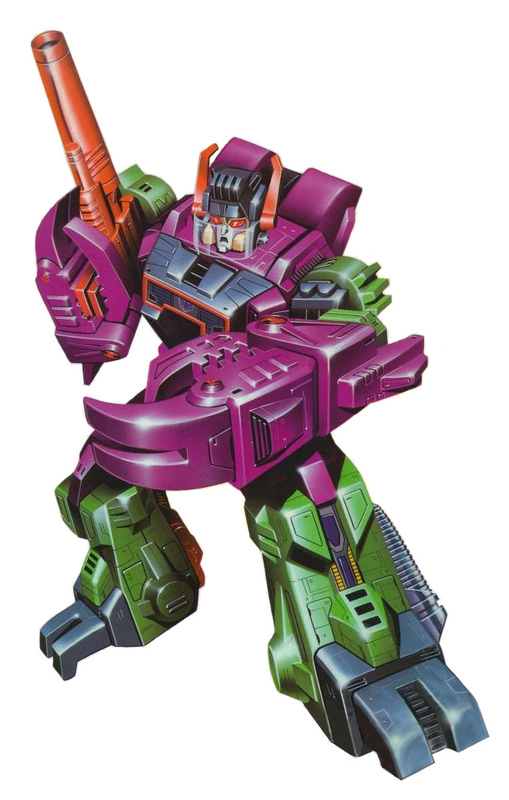 Overlord’s popularity sky rocketed for me personally during his awesome appearance in IDW’s Last Stand of The Wreckers. He has always been a sought after figure among collectors, but recent characterizations of Overlord have made him even more in-demand. Even though my goal for The G1 Journey is to collect the American releases of G1 toys, I would never, NEVER pass up a chance to own Overlord. Not only has he never been reissued, he was never released in America making him even harder and more expensive to obtain (he is a Prime member of the $1,000 club). A reissue Overlord would be another figure perfect for G1 collectors and younger fans wanting to learn more about the toys that started it all. 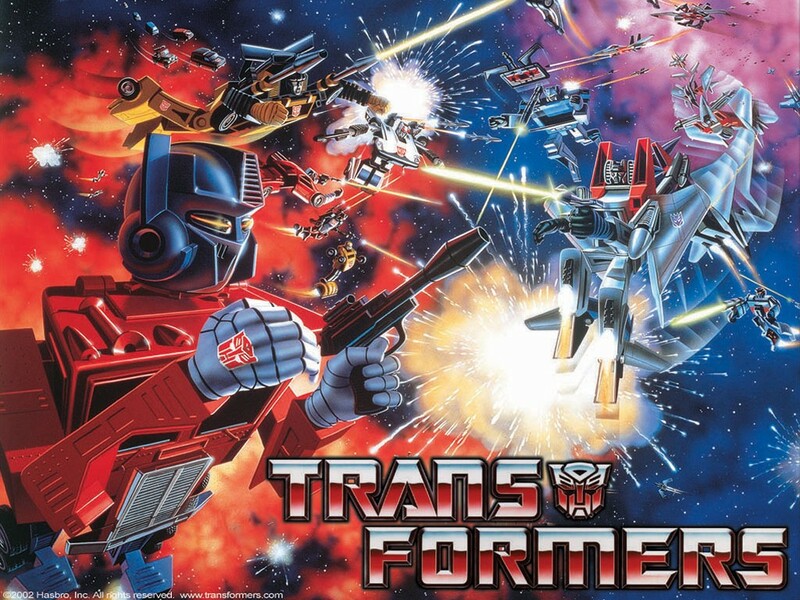 As collectors and fans, what G1 figures do you want to see reissued for your collection? Although this small list could be quickly read over as “wishful thinking,” there have been strong rumors for two of these figures to get the reissue treatment. Although I wouldn’t suggest holding your breath, I wouldn’t give up on your dreams just yet of owning some of these awesome figures. 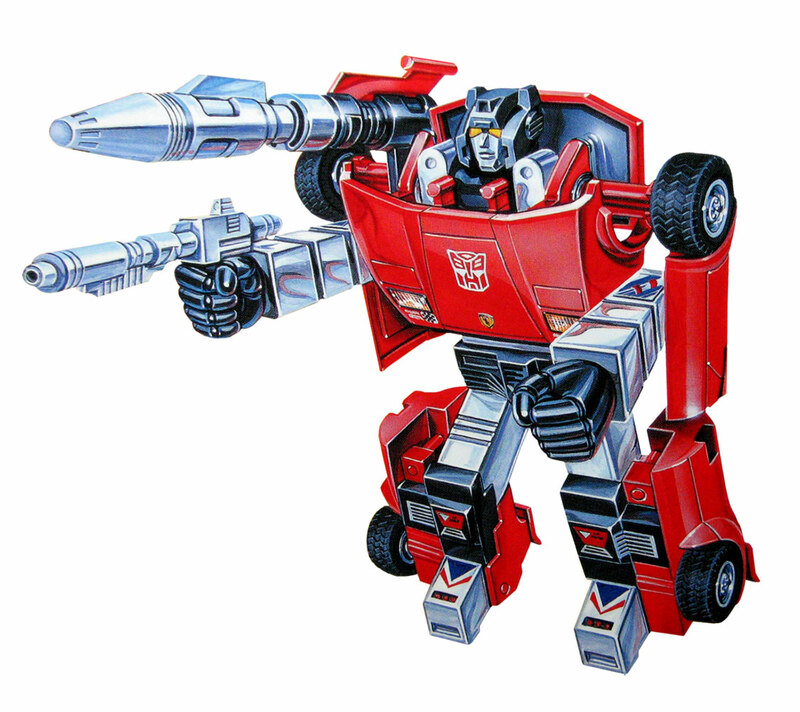 Sideswipe is nearly the equal of his twin brother, Sunstreaker, in the combat arts, but less cold-blooded. Relishes a fight to the finish with an opponent. Uses underhanded tactics when absolutely necessary. Arms act as powerful pile drivers. Flies for up to 2 minutes with rocket backpack. Fires flares visible for 18 miles. Rash actions often lead to injuries to himself. Takes them all in stride. Sideswipe, the character, always seemed to be the cool bot among the Transformers. In the G1 cartoon, the Marvel comics, and later incarcerations of him just oozed with confidence and swagger (his G1 toy bio alone captures his personality very well). With that being said, his toy definitely needed to convey that somehow for me to really like the figure. I’ve already handled this mold before with Red Alert, but I am expecting a little more appeal from Sideswipe due to the character and that slick red paint job. Not to mention Sideswipe is an in-house name right ever since collectors have gotten their hands on the new Masterpiece Lambor (Sideswipe) from Takara! It’s Sideswipe’s time and the hype is big! Let’s see how his G1 toy stacks up with taking a look at the Hasbro reissue of him. The alt mode is gorgeous, I’ve already ranted about how awesome it is with Red Alert’s review; bottom line though, love it. Handling Red Alert already, I know what to expect from this figure, but the red deco really takes my liking of this toy up a notch. Like so many G1 toys, the stickers, rubber tires, die-cast and realistic features make the toy something special. The Lamborghini alt mode is complemented well with some racing type stickers and even a knock off Lambo hood emblem. From the front, side, rear end, or angled, there’s not a position I dislike while displaying Sideswipe. This alt mode worked very well for Red Alert, but this is Sideswipes vehicle and he fits it beautifully. The stickers of Sideswipe really bring out a lot of Lambo personality: fast, dangerous, and energetic. The knock off hood emblem is my favorite touch to this G1 beauty. The rear end light stickers are a great touch to a very well detailed alt mode. They’ll be prone to rubbing off though as they do not sit on a flat surface. Transformation from the red Lambo to Sideswipe’s robot mode is quite simple: pull down and separate legs, pull outwards his arms while separating forearms, and then rotate his car hood down to reveal his head. A very easy process like I’ve come to expect of G1 figures.The result though is a well balanced and great looking robot mode with a near perfect blend of red and black, which happen to be my high school colors so they are a favorite of mine. The stickers that brought the alt mode to life carry over to this mode beautifully. As an avid fan of hating stickers, I’ll eat my words when it comes to G1 figures because the stickers have done a lot of justice in bringing out so much character. With that, Sideswipe’s weapons do just as much. I love the shoulder cannon that really makes Sideswipe who he is; Sideswipe always needs a shoulder cannon! The articulation is limited as expected, but it’s there in his arms/forearms which surprisingly gives the toy some great firing poses. Overall, another fun and great looking toy for the collection. One feature I enjoy about Sideswipe is his sturdiness. With his well proportioned frame he’s not falling off an collection shelf. Sideswipe’s head seems tiny in comparison to his body; this is a feature that has plagued even later releases of the toy. I’ll get this out of the way now: there is a definitive, end-all-be-all Sideswipe toy out there and it’s a landslide of a victory. Masterpiece Lamor is it. It was genuinely hard for me to do this Evolution segment. Photographing all three of these toys (G1, Classics, and Masterpiece) you really find out that the MP Sideswipe trumps all by a large margin. I believe I said this about Sunstreaker and his Classics update, but the Classics mold really doesn’t convey that Lambo feel. Comparing Classics Sideswipe (Universe 2.0 to be precise) to G1 is fine, because it’s a decent update, but when you put a Masterpiece Lamor into the picture you HAVE to favor the MP figure … and it’s not even a true “Classics” update. I know the Masterpiece is an “adult collectible” scale figure and is much higher end than a retail Classics figure, but it’s almost enough to change my opinion of which figure should be on my Classics display. Bottom line, I’d recommend the MP-12 Lamor for any collection and quite possibly even a Classics focused collection. However, take MP Sideswipe out of the discussion and I am still more than happy with my Classics update. Check out the pics to determine your own thoughts. Although the Classics (Universe 2.0) version of Sideswipe is a nice stand alone figure, it doesn’t capture the Lambo feel. It does have some nice details that are high points, but overall leaves me desiring just a little more. MP-12 is an official licensed Lamborghini product … it’s also a badass Transformers figure. So … which one do you like the most? One of my complaints about photographing Sideswipe figures, nearly every version of him seems to have a bloated chest in pictures. Very hard to capture an appropriate angle. One word: gorgeous. Two G1 type figures worthy of display. MP-12 Lamor is barely taller than the Classics Sideswipe … which is why I believe he can be stuffed into a Classics collection possibly. I enjoy Sideswipe a lot. The mold is not new to me, but the character’s personality is really brought out by the candy red deco and assortment of sticker details. What makes me appreciate the G1 toy even more is its evolution of a toy from Classics to even Masterpiece. The Classics version is an okay stand alone figure, but what the Masterpiece figure achieved was remarkable on nearly every level, including actually having the license to do this from Lamborghini itself. As a toy, G1 Sideswipe will be a stand out figure on my collection shelf, even more so knowing the character has gotten much rewarded attention in the Masterpiece line.